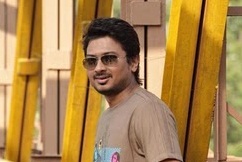 7am Arivu producer Udayanidhi Stalin of Red Giant Movies has said that he will make an official announcement today about Surya’s 7am Arivu’s audio launch and release date. Earlier Udayanidhi Stalin has tweeted in his Twitter account saying that – “7aam Arivu will be a Red Giant release for this Diwali, on October 26! The satellite rights have been sold to Sun TV”. 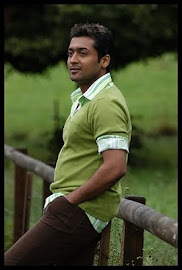 7am Arivu Audio launch is expected to take place on September 22 while the movie will be released for this Diwali. 7am Arivu music has been composed by Harris Jayaraj and it has six songs including a Chinese track, sung by Chinese singer Hau. Lyrics for the movie has been penned by Madhan Karky. The audio rights of 7am Arivu were bagged by Sony Music for a whopping amount. 7am Arivu directed by A.R Murugadoss features Surya and Shruti Haasan in lead roles and it will be the debut vehicle for Shruti Haasan in Kollywood. This is kuthalam, i am in newdelhi i want to see this movie on first day. May i know in which complex it is going to release.please help me so that i can book the ticket in advance.